Zacharias Vamvakousis and Rafael Ramírez have presented the EyeHarp in several Spanish media outlets. 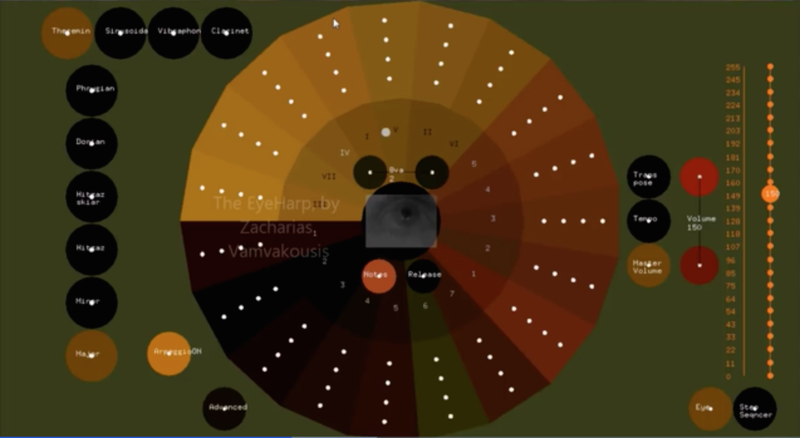 The EyeHarp is a new gaze-controlled Digital Musical Instrument, which aims to enable people with severe motor disabilities to learn, perform, and compose music using only their gaze as a control mechanism. It consists of (1) a step-sequencer layer, which constructs chords/arpeggios, and (2) a melody layer, for playing melodies and changing the chords/arpeggios.